The homer, his third of the Series, set a record for Jewish ballplayers. Two other players — Astros 3B Alex Bregman in the current Series, and Detroit Tigers 1B Hank Greenberg in 1945 — have hit two round-trippers in a single Series. What’s even more impressive about Pederson is that he’s hit three HRs in just 16 plate appearances. Bregman will have a chance to tie Pederson’s record when they face off tonight in Game 7. With the possible exception of Houston’s George Springer, Pederson is leading all 2017 World Series players in offense. With 3 HRs and 2 doubles in just 16 plate appearances, he is No. 1 overall in slugging percentage (1.143) and OPS (1.580), also known as On Base Plus Slugging. The Palo Alto native’s output is particularly surprising given that he ended the regular season with 31 straight homerless games, a period during which he hit just .123 and spent time in the minors. It wasn’t even clear he would make the Dodgers’s postseason roster. A recent article in the Jewish Journal delved into the ancestry of Pederson’s mother, Shelly Pederson. Born Shelly Cahn, she descends from Jewish ancestors in France, Russia, Germany, Poland and the Netherlands. Tied 3-3, the 2017 World Series concludes tonight with Game 7 in Los Angeles. With Team Israel’s surprising run at the World Baseball Championship behind us, Jewish Baseball News turns to that beloved annual rite: Spring Training. A total of 19 Jewish players were invited to MLB Spring Training camps this year, either as part of their teams’ active roster, 40-man roster, or non-roster invitee list. Here is how they’re doing through games played March 17. In the first Spring Training with his new team, 32-year-old Valencia is hitting .184 with 1 HR, 3 RBIs, and 5 walks in 38 at-bats. Although he’s a career .321 hitter against righties (and .246 vs. lefties), he has struggled equally against both so far. Seattle has Valencia playing first base almost exclusively. Last season with Oakland, Valencia had no errors at first base, one in the outfield, and 13 at third base. Traded to Baltimore by the Yankees last month, Bleier has performed well this Spring, delivering a 1.50 ERA across four outings and six innings overall, and yielding six hits and one walk while fanning four. Bleier is among several pitchers still fighting for a spot in the Orioles’ bullpen. A 1st-round draft pick of the San Diego Padres in 2012, Fried — who missed the entire 2015 season due to Tommy John surgery — was impressive in his first MLB Spring Training, yielding a hit and three walks in three outings (and four innings overall) while striking out five. Atlanta not only has promoted Fried to Double-A but added him to the Braves’ 40-man roster, meaning he will be eligible for call-up during the regular season. Braun has seen limited action in Spring Training, going 3-for-11 with a HR, double, three RBIs and a walk while striking out three times. Nevertheless, the 33-year-old has remained something of a lightning rod for criticism, most recently for his complaints that Spring Training lasts too long. Pillar has been hot this Spring, hitting .355 with six extra-base hits, one RBI, and a .444 on-base percentage. He’s also been batting leadoff, a privilege largely denied him in past seasons due to a dearth of walks. In prior Springs, Pillar’s average has ranged from .111 to .264. A non-roster invitee with a reputation for power — he hit .297 with 23 HRs last season at Double-A — Tellez has hit .259 this Spring with no home runs, two doubles, two RBIs, four walks, and 10 strikeouts. No word yet on which minor-league team Tellez will be sent to after Spring Training ends. In addition to playing for Team Israel in the 2017 World Baseball Championship, Goldberg pitched well for Chicago during Spring Training. In four appearances and 4.2 innings overall, he delivered a 0.00 ERA and earned a save while yielding two walks a hit and striking out one. Earlier this week, the White Sox sent Goldberg back to Triple-A but placed him on the Major League club’s 40-man roster. He’s likely to make his MLB debut this season. Normally a strong Spring Training performer — through games played March 17, his career average was .328 with 30 HRs and 117 RBIs — Kinsler has hit .263 this year, with one HR and one RBI in 19 at-bats. Kinsler also has played for Team USA in the WBC, hitting .294 in 17 at-bats. Breslow, who has adjusted his pitching form in a data-driven bid to revive his stalled career, earned a minor-league contract with the Twins and an invitation to Spring Training. So far, so good: in five appearances and 4.1 innings overall, Breslow has yielded no earned runs and just one hit while striking out four. On the down side, he’s walked five. Breslow is likely to begin the 2017 regular season in Triple-A. In addition to playing for Team USA in the WBC, Bregman has hit .304 in Spring Training, stroking two doubles and a walk while striking out once in 23 at-bats. Barash, a 2016 draft pick, was perhaps the most unlikely non-roster invitee this Spring, having topped out at Single-A his rookie season (and hitting .240 there after batting .314 in rookie-league ball). The 22-year-old catcher went a perfect 2-for-2 with the Angels, singling and doubling in two pinch-hit at-bats. Despite a non-roster invite, former major leaguer Lavarnway has seen limited play during Spring Training, having instead spent his time starring for Team Israel in the WBC. The 6’4″ catcher went 2-for-3 with a double for the Athletics before joining Team Israel. Signed to a one-year deal during the offseason, the 34-year-old Feldman is 0-1 this Spring with a 4.50 ERA. In eight innings spread across the starts, he’s yielded seven hits (including 3 HRs) and two walks while striking out seven. Feldman has secured a spot as a starter in Cincinnati’s rotation and might start the team’s Opening Day game. A non-roster invitee, Lakind has recorded one save this Spring and held opponents scoreless over three relief appearances. He has yielded two walks and two hits over three total innings while striking out two. Lakind also played for Team Israel in the WBC. A non-roster invitee, Baker made his MLB Spring Training debut before playing for Team Israel in the WBC. In a 2.2-inning relief stint, he gave up 2 hits and a hit batsman but struck out one and yielded no runs. A non-roster invitee, Sherriff has made the most of his first MLB Spring Training, going 0-1 with a 1.35 in six appearances and 6.2 innings overall. The 28th-round 2011 draft pick yielded six hits and one walk while hitting one batter and striking out an impressive eight. In a familiar pattern, Joc Pederson is hitting .242 this Spring with both a lot of home runs (4) and a lot of strikeouts (10). But that’s not giving him credit for advances he made in 2016, his second full season in the Majors. Pederson raised his batting average 36 points last year (to .246) while reducing his strikeouts, hitting more doubles, and slightly improving his home-run frequency. Davis, a former major leaguer who signed a minor-league contract with Los Angeles during the offseason, went 2-for-2 as a non-roster invitee before joining Team Israel in the WBC. He has been assigned to the Dodgers’ Triple-A team. Kelly, who played for Team Israel in the WBC but does not identify exclusively as Jewish, is 2-for-8 this Spring with two RBIs and a .500 on-base percentage. He made his MLB debut in 2016. The roster of players set to represent Israel in the World Baseball Classic in South Korea this March is taking shape. Two key additions are Ty Kelly and Sam Fuld. During the qualifiers in September, Kelly was playing for the New York Mets, while Fuld, then with the Oakland Athletics, was on the disabled list. Also new are minor leaguers Tyler Krieger and Jake Kalish. Roster spots have been offered to at least seven additional minor leaguers who played for Team Israel in September : Zach Borenstein (Arizona Diamondbacks), Brad Goldberg (Chicago White Sox), Blake Gailen (independent), Scotty Burcham (Colorado Rockies), Tyler Herron (New York Mets), R C Orlan (Washington Nationals), and Joey Wagman (Oakland Athletics). None has provided a final answer yet. Kurz told Jewish Baseball News that Danny Valencia of the Seattle Mariners and Craig Breslow, who is seeking to return to the Major Leagues, are possible future additions to Israel’s roster. Team Israel also is pursuing Joc Pederson of the Los Angeles Dodgers and Jason Kipnis of the Cleveland Indians. Several prominent pros politely declined Team Israel’s invitations due to injury, family commitments, Major League aspirations, or other concerns. They include Ryan Braun of the Milwaukee Brewers, Kevin Pillar and Scott Feldman of the Toronto Blue Jays, Richard Bleier of the New York Yankees, Jon Moscot of the Cincinnati Reds, and minor-league prospect and Ryan Sherriff of the St. Louis Cardinals. Sherriff played for Team Israel in the September qualifiers. Alex Bregman of the Houston Astros and Ian Kinsler of the Detroit Tigers have committed to play for Team USA rather than Team Israel in the World Baseball Classic. Under WBC rules, athletes can play on Team Israel as long as they are eligible for Israeli citizenship. That means having at least one Jewish grandparent or being married to someone Jewish. Nearly all the players on Israel’s roster personally identify as Jewish. Earlier this month, eight players on the WBC roster visited Israel for a week to learn about the country, meet Israeli fans, and break ground on a new baseball stadium. MLB.com reporter Jonathan Mayo and Ironbound Films co-founder Jeremy Newberger plan to create a documentary about the trip, titled Heading Home. Get Jewish Baseball News updates via e-mail! A total of 146 seasons have passed since Lip Pike became the first Jewish player to homer. Now, we have a new milestone to celebrate. 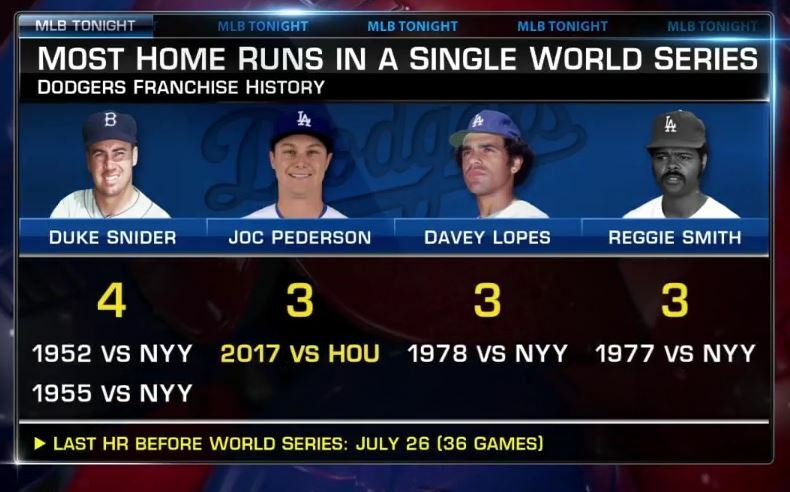 Joc Pederson‘s game-tying, 2-run blast last night was the 113th Jewish home run of the season, tying the mark set in 2012. Pederson’s home run, his 25th of the year, left his bat at a blistering 110.6 mph, tops in the MLB for the night. Less than half an hour later, Ian Kinsler crushed a 2-run, go-ahead shot for the record-breaking 114th round-tripper of the year. Kinsler’s 27th home run traveled 410 feet to left-center and left him one behind Lou Whitaker (28) on Detroit’s all-time list of most HRs in a season by a second baseman. The 3rd-inning blast almost didn’t count: despite heavy rain, umpires allowed the Tigers and Cleveland to complete the 5th inning before calling a delay and, eventually, the game. Both players likely were unaware they were making history. Earlier this month, Alex Bregman smashed the 3,000th Jewish home run in Major League history. Although rookie Lip Pike led the National Association with four home runs in 1871, his rookie season with the Troy Haymakers, Jewish players and home runs have not always been so prolific. In 49 of the past 146 season, Jewish players did not hit a single dinger. During the five seasons from 1986 to 1990, in fact, there was not a single Jewish at-bat. Aside from Pike, the concept of a Jewish power hitter is, historically speaking, a relatively new one. No Jewish player had hit even 10 HRs in a season until a Detroit Tigers rookie named Hank Greenberg stroked 12 in 1933. This helps explain why Jewish fans went so crazy over Greenberg, who went on to hit a then-N.L. record 58 home runs in 1938, two short of Babe Ruth’s then-Major League record of 60. By comparison, today is a golden age for Jewish baseball fans. Three players have 25 or more home runs — Ryan Braun (30), Ian Kinsler (27), and Joc Pederson (25) — an accomplishment matched only once before, in 2010. Note: The 3,012 Jewish home runs hit through 9/28/2016 were slugged by these Major League players. The tally includes home runs hit by David Newhan before 2000, when he began identifying as a Messianic Jew. It excludes home runs hit by Jim Gaudet, who converted to Judaism after his playing career ended. As great a season as Jewish players are having collectively, 2016 isn’t close to the most prodigious in terms of home-run frequency. Through games played 9/28/2016, Jewish players are homering once every 23.95 at-bats, or 13th-best on the home-run frequency chart. The best year came way back in 1950, when Jewish players such as Al Rosen (37 HRs) and Sid Gordon (27 HRs) homered a total of once every 18.37 at-bats. In 1871, Lip Pike was considered a slugger. An outfielder with the Troy Haymakers, the 5’8″ rookie led the National Association that season with four home runs, which also happened to be the first four round-trippers ever hit by a Jewish baseball player. Flash forward 145 years to Sept. 10, 2016 — also known as last Saturday — when another red-hot Jewish rookie came to the plate. Host Houston and the Cubs were tied 0-0 in the bottom of the third when the Astros’ Alex Bregman took a 92mph two-seam fastball from Chicago’s John Lackey and parked it in the right-center seats. Houston never squandered the lead, finishing with a 2-1 win. Bregman’s 384-foot shot wasn’t just a clutch hit for a playoff-hungry club in front of a hometown crowd. It was the 3,000th Jewish homer in Major League history. The numbers continue to swell. In fact, Jewish players are on pace to set a single-season record in 2016. Through games played September 14, they hit a combined 106 home runs, just seven short of the 113 hit in 2012. Three players — Ryan Braun (27), Ian Kinsler (26), and Joc Pederson (22) — have more than 20 apiece, while Danny Valencia is within striking distance at 16. The 3,004 home runs hit through 9/14/2016 were slugged by these Major League players. The tally excludes home runs hit by David Newhan after 1999, when he began identifying as a Messianic Jew. It also excludes home runs hit by Jim Gaudet, who converted to Judaism after his playing career ended. Matt Holliday’s misfortune has proved opportune for two Jewish ballplayers. Thanks to the Cardinals outfielder’s injury — sorry, Matt — Dodgers rookie Joc Pederson will replace him in the National League’s starting lineup at Tuesday’s All-Star Game (7/14/2015), and Brewers veteran Ryan Braun will replace Holliday as a reserve on the roster. It’s Braun’s sixth career All-Star nod, but his first since his a 2013 drug suspension. The 31-year-old LF celebrated Sunday with his 16th HR. Might Braun and Pederson end up in the outfield together sometime Tuesday night? The All-Star Game isn’t the only occasion for a Pederson/Braun mash-up. In the 6th inning of Friday’s Dodgers-Brewers game, Pederson dropped a single in front of Braun to break up a Milwaukee no-hitter. Pederson’s RBI double in the 7th proved the game-winner. Dynamic Jew-o: A 6th-inning defensive replacement Saturday, Blue Jays 3B Danny Valencia went 1-for-2 with a 3-run HR. Teammate Kevin Pillar singled, walked twice, and swiped a base in Toronto’s 6-2 win over Kansas City. The Valencia/Pillar show resumed Sunday. Pillar tripled, doubled in Valencia, and tossed out Eric Hosmer when the Royals 1B tried to stretch a single into a double. Valencia singled and smacked a 2-run double. Atlanta’s Ryan Lavarnway walked and hit a solo HR Saturday, his first round-tripper since Sep. 4, 2013. Ian Kinsler, third in career doubles among MLB Jews, hit two Friday to give him 20 for the season. On Sunday, he stroked three singles. Now here’s something you don’t see very often: two Jewish players, both centerfielders, smacking 2 HRs apiece on the same day. Dodgers phenom Joc Pederson and Toronto’s Kevin Pillar accomplished the rare feat Tuesday night. Pederson hit the more prodigious bombs, launching a 477-foot monster in Game 1 of a doubleheader against Colorado and a 472-foot shot in Game 2. The 23-year-old Palo Alto native added his first Major League triple and drove in 4 RBIs overall. He has homered in 4 straight games and is tied for second in the N.L. with 16 round-trippers. Pillar was the bigger surprise. Entering Game 2 of a doubleheader against the Nations with just 2 HRs in nearly 200 at-bats this season, the 26-year-old launched a solo shot in the 2nd inning and a 3-run shot in the 6th that plated teammate Danny Valencia, who contributed a double and a sacrifice fly Tuesday. 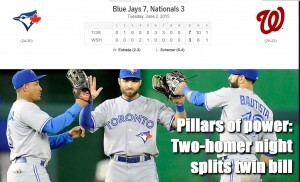 Pillar didn’t his 2nd HR of 2015 until May 30. Ryan Braun owns the record for HRs by a Jewish rookie, with 34 in 2007, and was named N.L. Rookie of the Year. All-time Jewish home run leader Hank Greenberg hit 12 his rookie year (1933), and runner-up Shawn Green hit 15 in his (1995). The all-time N.L. rookie record of 38 HRs is shared by Baltimore’s Frank Robinson (1955) and the Boston Braves’ Wally Berger (1930). With 16 HRs in the Dodgers’ first 52 games this season, Pederson is on pace to hit 50. As baseball fans celebrate Opening Day, Jewish Baseball News is taking a look back at the 21 Jews who participated in MLB Spring Training this year. Fifteen position players and six pitchers saw playing time, some as full-fledged team members, others as non-roster invitees, and several via short-term stints. Their stats are shown at the bottom; players who made their franchise’s Opening Day roster are shown in bold. Following are some of the Spring’s top stories. It will take a lot more for him to earn back some fans’ trust and affection, but Milwaukee’s Ryan Braun — fresh from a 65-game suspension for taking performance-enhancing drugs — dazzled, hitting .417 with nine RBIs and eight extra-base hits in 36 at-bats. Ike Davis and Josh Satin both made the Mets’ Opening Day roster and will share First Base duties with Lucas Duda. But Davis — who squeaked by with a .241 average in Spring Training — is among the candidates to be sent down later this week to make room for Jon Niese. Nate Freiman‘s 11 RBIs ranked eighth on the A’s, but it wasn’t enough to make the team’s Opening Day roster. Meanwhile, teammate Sam Fuld wowed his way onto the roster with four triples, 7 RBIs and a .348 on-base percentage. With Boston’s Craig Breslow starting the season on the disabled list, Scott Feldman is the only Jewish pitcher to make an Opening Day roster. He also was the only Jewish starter during spring Training. As a group, Jewish pitchers went 1-and-5. After missing much of the past three seasons with surgeries and injuries, former Boston Red Sox OF Ryan Kalish earned a spot on the Cubs’ Opening Day roster. Kalish hit .304 with 3 RBIs, stole 6 of 7 bases, and reached base 38.5% of the time. Texas prospect Aaron Poreda earned some respect in his first MLB Spring Training since 2011. Poreda claimed one save in two chances, held opposing hitters to a .265 average, and walked just one batter over 8.1 innings. Ian Kinsler, traded by Texas during the off-season for Detroit’s Cecil Fielder, outperformed “Big Daddy” with 3 HRs, 9 extra-based hits, 9 RBIs, a perfect 4-for-4 in stolen bases, a .300 average, and a .382 on-base percentage. Fielder matched Kinsler’s power (3 HRs, 9 extra-base hits, 10 RBIs) but hit .246 while striking out 16 times and drawing only two walks. Ben Guez, a 27-year-old outfielder who spent part of the last four seasons with Detroit’s Triple-A club but has yet to be called up, made a brief but exciting splash in three Spring Training games. Against Toronto on 3/18/2014, Guez reached base all six times, going 3-for-3 with two doubles and three walks. His career MLB Spring Training average is a robust .529, along with a .692 on-base percentage. Jews make up an estimated 1.7 percent of all Americans and an even smaller percentage of professional baseball players. But ESPN Insider’s 2014 ranking of the Top 100 Minor Leaguers features three Jews, a 3 percent rate. And Baseball America’s 2014 list of the Top 10 prospects per franchise includes four Jews. Joc Pederson appears 41st on ESPN’s list and #1 on Baseball America’s list of the top Los Angeles Dodgers prospects. 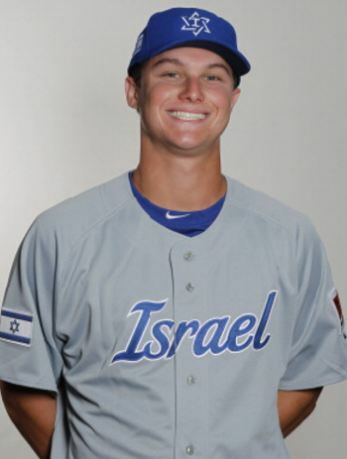 A 21-year-old center fielder, Pederson earned L.A.’s Minor League Player of the Year award in 2012 and afterward played for Team Israel in the World Baseball Classic qualifier. In 2013 he hit .278 with 22 HRs, 58 RBIs, 31 stolen bases and a .381 OBP for the Dodgers’ Double-A affiliate. Baseball America predicts he’ll reach the Majors sometime in 2014, possibly by Opening Day. Rob Kaminsky caps off ESPN’s list at the 100th spot, and he ranks 9th on Baseball America’s list of the top St. Louis Cardinals prospects. Drafted out of high school last year by the St. Louis Cardinals, the 19-year-old pitcher went 0-3 in rookie ball but finished with a respectable 3.68 ERA while striking out an average of 11.5 batters per nine innings. Baseball America says Kaminsky has the best curveball in the Cards’ system, and he’s expected to open 2014 in Single-A. Zach Borenstein didn’t make ESPN’s cut, but he ranks 9th on Baseball America’s list of the top Los Angeles Angels prospects. A 23-year-old outfielder, Borenstein hit .337 in 2013 with 28 HRs, 95 RBIs, and a 1.034 OPS for the franchise’s A-Advanced team, and he came close to winning the league’s Triple Crown. That he made the list at all is somewhat miraculous, given that he was left off the Angels’ Top 20 list at the end of the 2013 season, but a change in authors led to a different outlook. Baseball America says Borenstein could spend a good part of 2014 at Triple-A. Thanks to Kaplan’s Korner for the tip on ESPN Insider’s new rankings. Click here to order your Jewish Baseball News baseball cap! Joc Pederson’s star is soaring, but is there room for him in L.A.’s constellation? 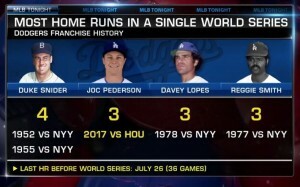 2012 wasn’t a bad year for Los Angeles Dodgers prospect Joc Pederson. A third-year player drafted out of Palo Alto High School, the 6-foot-1 outfielder hit .313 with 18 HRs, 70 RBIs, a .396 on-base percentage, and 26 stolen bases for the Rancho Cucamonga Quakes (A+). The Dodgers named him their Branch Rickey Minor League Player of the Year. Baseball America called him the best defensive outfielder in the club’s farm system. It also said he had the franchise’s best strike-zone discipline. But if you thought the buzz on Pederson couldn’t get more positive, think again. Halfway into the 2013 season, the 21-year-old is hitting more home runs and doubles than last year, stealing more bases, and getting caught far less often. His ranking on Baseball America’s list of top minor-league prospects has rocketed from 85th overall at the beginning of 2013 to 35th. At yesterday’s All-Star Futures Game — which pit the top 25 U.S. prospects against the top 25 foreign-born prospects — Pederson singled, walked, and scored a run in his only two plate appearances, and he nearly tossed out a runner trying to score on a sacrifice fly. Pederson is an outstanding natural athlete and a grinder with a high baseball IQ. While none of his tools are well above average, all five have the potential to be average or better; he’s got a compact stroke with legitimate power, and an advanced approach at the plate that translates into on-base ability. Scouts are split as to whether he can stay in center due to the limitations of his speed and arm, but he may be able to fulfill the offensive profile needed in left field. Despite his prowess, Los Angeles is in no hurry to promote Pederson to Triple-A, and we may not see him wearing Dodger blue anytime soon, if ever. Joc Pederson, ranked the Los Angeles Dodgers’ #4 prospect by Baseball America, went a combined 3-for-7 with two HRs, a double, and 3 RBIs. Pederson is an outfielder with the Chattanooga Lookouts (AA). New York Mets prospect Josh Satin went 2-for-4 with a double to raise his average to .412. Satin plays for the Las Vegas 51s (AAA). In his first start of the 2013 season, Tampa Bay Rays prospect Sean Bierman pitched 5 innings of one-hit ball. Bierman plays for the Bowling Green Hot Rods (A). Seattle Mariners prospect David Colvin pitched two and 1/3 perfect innings. Colvin plays for the High Desert Mavericks (High-A). Join our mail list for free news alerts! Get our daily Jewish Box Score via Twitter or Facebook! With the regular season now underway, we’re taking a quick look back at how Jewish players performed in spring training. The sheer number who played was impressive: a total of at least 24 Jews — 18 position players and six pitchers — got on the field for at least one MLB game this spring. Kevin Youkilis had an eye-popping debut with the New York Yankees. He led all Jewish players (as well as all Yankees) with 6 HRs, 6 doubles and 14 RBIs in just 50 at-bats, along with an .800 slugging percentage and a 1.139 OPS (on-base plus slugging). New York Mets prospect Josh Satin made the most of his 16 plate appearances, cobbling together 3 singles, 2 doubles, 5 walks, and 3 RBIs to amass a .455 batting average and .647 on-base percentage. Ike Davis, another Met, showed great poise at the plate, hitting .327 with 4 doubles, 1 HR, and 4 RBIs. Davis’s 9 walks boosted his on-base percentage to a healthy .431. Danny Valencia lost his fight for a spot on the Baltimore Orioles’ opening-day roster but made a good impression on his new team, hitting .323 with 1 HR, 4 RBIs, and a .417 on-base percentage. Maxx Tissenbaum, a 21-year-old San Diego Padres prospect with one minor-league season under his belt, knocked in 3 runs in just 4 at-bats. St. Louis Cardinals prospect Adam Ehrlich walked in both of his plate appearances, St. Louis Cardinals prospect Charlie Cutler singled in his only appearance of the spring, and San Diego Padres prospect Cody Decker went 3-for-6 with a double. Source: Jewish Baseball News collection of data from MLB.com, baseball-reference.com, and cbssports.com. Houston Astros prospect Josh Zeid went 1-0 with a 1.50 ERA in six relief appearances, held opposing players to a .235 batting average, and drew 3.33 times as many groundouts as flyouts. San Diego Padres veteran Jason Marquis went 1-1 with a 3.74 ERA in six starts and held opponents to a .239 batting average. Toronto Blue Jays prospect Michael Schwimer earned a 3.00 ERA in three relief appearances and limited opposing teams to a .182 batting average. Scott Feldman stood out for less desirable reasons. The newly-minted Chicago Cub went 0-3 with an 11.25 ERA, gave up nearly 2 hits per inning, yielded 7 HRs, and got lit up by opposing batters to the tune of a .396 average. Jewish Baseball News, the website that brings you “News and stats on Jews with bats,” has selected the top Jewish minor-leaguers of the 2012 season. Nate Freiman, 1B, San Antonio Missions (San Diego Padres); obtained by the Houston Astros on 12/6/2012. Robbie Widlansky, DH/OF/1B, Bowie Baysox (Baltimore Orioles); obtained by the Los Angeles Angels on 12/6/2012. Additional information on the award winners and runners-up is provided below. Jack Marder, 22, made his minor-league debut in 2011. Because he had just 71 at-bats that year, Jewish Baseball News considers 2012 his “rookie” season. And what a season it was. The versatile 22-year-old hit .360, including .410 with runners in scoring position, and reached base 42.5 percent of the time. Marder had only 278 at-bats but still drilled 24 doubles, 4 triples, and 10 HRs, drove in 56 runs, and stole 16 bases in 22 attempts. Mauricio Tabachnik, 23, spent three years in the San Diego Padres’ farm system before being released in 2011. A native of Mexico, he took his right arm to the Mexican League that year but did not impress. In addition to compiling a 5.36 ERA, he gave up an average of two walks and/or hits per inning and walked more batters (41) than he struck out (24). But Tabachnik was a different player in 2012, finishing 4-2 with a 3.18 ERA, more strikeouts (38) than walks (27), and giving up an average of five fewer hits and/or walks per nine innings. Jeremy Bleich, 25, was a starting pitcher with the Trenton Thunder (AA) when he seriously hurt his shoulder in May 2010. It would be another two years before the former 1st-round draft pick would pitch again, this time as a reliever. Bleich’s 2012 comeback was impressive. He went 2-1 with a career-best 3.86 ERA, struck out 24 while walking just eight, and held opposing batters to a .242 average. Jeff Urlaub, 25, finished the 2012 season with a winning record (7-6) and a 3.18 ERA, despite playing for two teams with losing records. He produced some eye-popping stats along the way, striking out a combined 58 batters while walking only 9, holding opposing teams to a .197 batting average, and allowing just 4 HRs in 65 innings. Nate Freiman, 25, doesn’t just look imposing at the plate. The 6-foot-7-inch terrorized Texas League pitchers in 2012 with a career-high 24 HRs and a league-leading 105 RBIs. He didn’t sacrifice discipline, turning in a tidy .298 batting average and .370 on-base percentage. 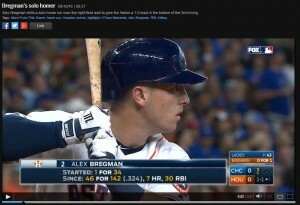 Later, Freiman brought his big bat to the World Baseball Classic, where he launched 4 HRs in 12 at-bats for Team Israel. Robbie Widlansky, 28, helped the Bowie Baysox (AA) earn a playoff berth with the best performance of his 6-year professional career. He ranked among Eastern League leaders with a .316 batting average (3rd place), 83 RBIs (3rd), 35 doubles (2nd/tie), and a .404 on-base percentage (2nd). Widlansky also stole 11 bases, and his walk-to-strikeout ratio (64 to 74) was a career high. The long wait to see which players will represent Israel at World Baseball Classic qualifiers this week is over. Team Israel’s 28-man roster (see below) includes two former Major Leaguers (player/coaches Shawn Green and Gabe Kapler), three Israelis, and 23 minor-leaguers. Because the MLB season is still underway, no current Major Leaguers are on the roster. Also missing are a number of Triple-A and even Double-A players whose teams wanted them around as potential call-ups later this month. The double-elimination tournament takes place Sept. 19-23 in Jupiter, Fla., and pits Israel against teams from France, Spain, and South Africa. Whoever prevails will earn a spot in the main World Basic Classic competition, in November 2013. If Israel wins, the team it fields in 2013 likely will include a number of Major Leaguers (such as Kevin Youkilis, who already has committed to play) and Triple-A players. Additional commentary on this week’s roster is shown below the table. 16 LEICHMAN, Alon RHP 23 Kibbutz Gezer, Israel N.A. N.A. 22 LIPETZ, Shlomo RHP 33 Tel Aviv, Israel N.A. N.A. (-) ROTHEM, Dan RHP 35 Tel Aviv, Israel N.A. N.A. 15 GREEN, Shawn OF 39 Des Plaines, IL N.A. N.A. 18 KAPLER, Gabe OF 37 Hollywood, CA N.A. N.A. Of the 23 minor leaguers on the roster, three ended the 2012 season with a Triple-A team, 12 at the Double-A level, six at A-advanced, and two with a Single-A team. Adam Greenberg, a former Major Leaguer who is trying to mount a comeback, was invited to Jupiter for tryouts but is not on the roster. Josh Satin, who played briefly for the New York Mets in 2011 and 2012, is the only player with MLB experience. The youngest player on the roster is 20-year-old outfielder Joc Pederson, who is ranked the Los Angeles Dodgers’ No. 3 prospect by MLB.com. The oldest player is 39-year-old Shawn Green, whose 15-year MLB career included five seasons with the Dodgers and ended with the New York Mets in 2007. Green’s 328 career HRs are second only to Hank Greenberg’s 331 among Jewish ballplayers. Israeli player Alon Leichman plays for Cypress College, a community college in California. During the qualifiers for the 2012 European Championship, Israeli pitcher Shlomo Lipetz was masterful, giving up just one earned run over 16-and-a-third innings while striking out 18 and walking three. Three players on Team Israel are 6-foot-7-inches tall: pitchers Brett Lorin and Max Perlman, and 1B Nate Freiman. At 5-foot-8-inches, Alon Leichman is the shortest. Nate Freiman and Cody Decker, teammates on the San Antonio Missions (AA), finished 2nd and 3rd in HRs this season among Texas League players. Buying something on Amazon.com? Help support Jewish Baseball News — use our Amazon link! Ryan Braun hit his 37th HR on Sunday (9/2/2012), tying a career high. Thanks to the 3-run blast, he needs only 5 more RBIs to pierce the 100-RBI mark for the 5th straight season. So far, the only player to reach 100+ RBIs every season from 2008-2012 is Detroit Tigers 3B Miguel Cabrera. Braun also enjoyed a 4-for-6, 5-RBI performance last Monday (8/27/2012). The good news is that San Diego Padres prospect Cody Decker hit his 28th HR of the season last week (8/26/2012), a solo shot in the 7th inning. The bad news is that he did it off of Corpus Christi Hooks (AA) reliever Josh Zeid. Zeid got the last laugh, however, earning a “hold” in the Hooks’ 2-1 win over Decker’s San Antonio Missions (AA). David Colvin, a 6’3″ reliever selected by the Seattle Mariners in the 27th round of the 2011 draft, was named Midwest League (A) pitcher of the week for July 23-30. The 23-year-old righty, who plays for the Clinton LumberKings, is 5-3 this season with a 3.15 ERA, 61 strikeouts in 68-and-one-third innings, and just 16 walks. Jacob Booden is showing increasing mastery in his first pro season. Totally ignored in the 2012 amateur draft, the 6’7″ reliever signed a free-agent contract with the St. Louis Cardinals afterward and was assigned to the Johnson City Cardinals (rookie). Booden ran up a 6.35 ERA in June, a 4.76 ERA in July, and an 0.79 ERA in August. The 22-year-old is averaging a strikeout per inning. It’s good news all around for Nate Freiman. The San Diego Padres assigned him to play in the prestigious Arizona Fall League once the minor-league season ends. Freiman also has been named a Texas League All-Star. As if to celebrate, the San Antonio Missions (AA) first baseman hit a score-tying HR in the 7th inning of Sunday’s (9/2/2012) game against the Corpus Christi Hooks, and a walk-off single in the bottom of the 9th inning. Freiman is hitting a career-high .301, with 24 HRs and 105 RBIs. Other players picked to play in the AFL are Los Angeles Dodgers prospect Joc Pederson and Tampa Bay Rays prospect Lenny Linsky. Tikkun magazine has published an article titled In Praise of Baseball. In it, author Andrew Kimbrell commends the sport for celebrating nonviolence, collegiality, natural time, agrarianism, diversity of place, sacrifice, the common man, transcendence, failure, and coming home. Thanks to The Izzy Project for sharing it. Maxx Tissenbaum reached base in 10 straight plate appearances last week, including his final two chances on Monday (8/27/2012) and all four appearances both on Tuesday and Wednesday. An MLB.com article about the 21-year-old Toronto native called him a “tough out,” observing that Tissenbaum has walked 27 times this season, nearly twice as often as he has struck out (13 times). Forget ‘People of the book’ — just call us ‘People of the tweet.’ Twitter feeds authored by Toronto Blue Jays prospect Ian Kadish (Twitter) and San Diego Padres prospect Cody Decker (Twitter) are among minor-league baseball’s 20 best, according to Going 9 Baseball. Another top-ranked tweeter, Michael Schlacht, used to identify as Jewish but now is a practicing Christian. Most of you know the story of Adam Greenberg, a Chicago Cub who was struck in the head by the first pitch of his first and only plate appearance in the major leagues. But you may not know about a new campaign, called One At Bat, to let the 31-year-old return to Wrigley Field later this season and get an official at-bat. Yahoo! Sports writer Kevin Kaduk argues that the Cubs have no roster space to accommodate Greenberg, but that the cellar-dwelling Houston Astros — who will play their final series of the season in Chicago — do. Click here to sign the petition. Have any good news about Jewish athletes? Send it to sbarancik@jewishbaseballnews.com. Sam Fuld‘s heroic fielding and hustle have earned him the nickname “Super Sam,” but Tampa Bay Rays fans may just want to call him “Sparkplug.” Though a wrist injury kept Fuld off the field this season until July 24, the club has gone 18-and-7 since his return. 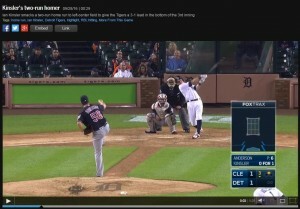 The 30-year-old utility outfielder’s impact was never more clear than on Saturday (8/18/2012). The Rays were down 8-0 to the Los Angeles Angels when Fuld singled in his team’s first run, launching a 7-run inning that ultimately propelled the Rays to an improbable 10-8 win. Detroit Tigers prospect Ben Guez continues to enjoy a breakout year with the club’s AA and AAA teams. The diminutive outfielder — he is listed at 5’10” and 180 pounds, about the same size as Sam Fuld — is hitting a combined .300 with 8 HRs, 5 triples, 42 RBIs, 12 stolen bases, and a preposterously high .423 on-base percentage. He has spent roughly three-quarters of the season with the Toledo Mud Hens (AAA). Two of the N.L.’s top home-run hitters are Jewish. Milwaukee Brewers LF Ryan Braun, the reigning N.L. MVP, hit four dingers over a 3-game stretch last week and leads the league with 33 overall. New York Mets 1B Ike Davis has hit a career-high 22 HRs, good enough for 12th place. Not to be outdone are San Diego Padres prospects Nate Freiman and Cody Decker. Teammates on the San Antonio Missions (AA), the pair rank 4th and 5th among all double-A players in home runs, with 23 and 22 respectively. Decker had an additional 5 HRs with the Padres’ AAA team, giving him 27 overall. Freiman, a 6’7″ first baseman, is hitting .298 and leads all AA players with 98 RBIs8. We’re only a month away from Team Israel’s appearance at the World Baseball Classic qualifying round in Jupiter, Fla. Among those scheduled to play in the team’s September 19 opener against South Africa are player-coaches Shawn Green (ranked second among Jewish major-leaguers in career HRs), former MLB’er Gabe Kapler, a variety of of other current and ex-pros, and a handful of Israelis. Click here for tickets. Joc Pederson is on a roll. Ranked the Los Angeles Dodgers’ No. 3 prospect by MLB.com, the 20-year-old son of former major-leaguer Stu Pederson is batting .400 over his past 10 games with 5 HRs, 4 doubles, 11 RBIs, 3 walks, and 2 stolen bases. An outfielder with the Rancho Cucamonga Quakes (A-advanced), Pederson is hitting .313 this season with 17 HRs, 59 RBIs, 22 stolen bases, a .397 on-base percentage, and an OPS (on-base plus slugging) of .918. Danny Rosenbaum is the Jekyll & Hyde of 2012. After starting the year 5-0 with an 0.71 ERA and just four walks for the Harrisonburg Senators (AA), there was talk the Washington Nationals might call-up the 6’1″ lefty in September. (See Rosenbaum’s May 2012 interview with Jewish Baseball News contributor Zev Ben Avigdor.) But when his go-to catcher Sandy Leon was called-up to the majors, everything seemed to fall apart, and today the 24-year-old’s record is a less stellar 8-and-9 with a 3.73 ERA. On Saturday (8/18/2012), though, it looked like the ‘old’ Rosenbaum had returned. Danny pitched 7 shutout innings in a 2-1 win over the Erie SeaWolves, giving up just five hits and one walk. Scott Feldman‘s winning streak ended Friday (8/10/2012) with a 6-2 loss to the Detroit Tigers, but what a streak it was. After losing his first six decisions of the season and amassing a 6.50 ERA, the 6-foot-6-inch Texas Ranger won the next six with a 2.81 ERA. Jason Marquis took a no-hitter into the 7th inning Saturday (8/11/2012) in a 5-0 win over the Pittsburgh Pirates (see video). The 33-year-old San Diego Padre ended up with a 2-hit, complete-game shutout and has won five of his last six starts. Interestingly, the resurgent Marquis matched the Pirates’ offensive output by going 2-for-4 at the plate. His .276 batting average is third best this season among MLB pitchers with at least 20 at-bats. Jeremy Schaffer, picked by the St. Louis Cardinals in the 18th round of this year’s amateur draft, already is putting up big numbers. The 22-year-old first baseman out of Tulane University leads the Appalachian rookie league with 41 RBIs in just 179 at-bats. The Kevin Youkilis trade just got a little worse for the Boston Red Sox. Not only has Youk been hitting the ball a ton for the Chicago White Sox — since arriving in late June, he’s hit .252 with 10 HRs, 29 RBIs, a .371 on-base percentage, and an .875 OPS (on-base percentage plus slugging percentage) in 139 at-bats — but his successor at third base, rookie phenom Will Middlebrooks, just suffered a season-ending wrist injury. Coincidence of the day? Middlebrooks’ temporary replacement is recently-acquired 3B Danny Valencia. On Sunday (8/12/2012), Houston Astros prospect Ben Orloff celebrated his recent promotion to the Corpus Christi Hooks (AA) with a 5-for-5 performance. The 25-year-old shortstop doubled, tripled, and drove in 4 runs en route to a 20-9 thrashing of the Springfield Cardinals. Four in one month? That’s how many Jews the Boston Red Sox recently added to their roster. The quartet included Valencia (see above), reliever Craig Breslow, C Ryan Lavarnway, and LF Ryan Kalish, who has since returned to AAA. Just weeks after putting together a 3-HR game, Joc Pederson powered the Rancho Cucamonga Quakes (A-advanced) to an 11-9 win over the Modesto Nuts. Pederson — ranked the Los Angeles Dodgers’ No.3 prospect by MLB.com — went 3-for-5 with a HR, two doubles, and 5 RBIs. Keep a close eye on Jack Marder. Already ranked the Seattle Mariners’ No. 15 prospect in just his second year of pro ball, the High Desert Mavericks (A-advanced) catcher is batting .363 with 10 HRs, 24 doubles (including three on 7/31/2012), 4 triples, 55 RBIs, 16 stolen bases, and an OPS of 1.019 in only 273 at-bats. Marder is hitting a blistering .413 with runners in scoring position and recently added second base and the outfield to his fielding repertoire. It’s a shame that he may have too few at-bats to qualify for the California League batting crown. As Jewish Baseball News correspondent Zev Ben Avigdor points out on his minor-league Twitter feed, New York Mets prospect Josh Satin is on fire. The 27-year-old first baseman has hit .444 (16-for-36) in the past 10 games, with 2 HRs, six doubles, 4 walks, and 10 RBIs. Next season will mark the 40th anniversary of MLB’s designated hitter rule, and first-ever DH Ron Blomberg already is getting some love for his historic role. Sam Fuld loves going horizontal for fly balls, but the Tampa Bay Ray won’t be leaping tall buildings anytime soon. “Super Sam” told the Tampa Bay Times he’s scared of heights, “mainly bridges, tops of buildings, mountains.” He also revealed his favorite television show (Seinfeld) and said he has a “man crush” on actor Matt Damon — another diminutive but athletic Ivy Leaguer. There are only three possible explanations for pitcher Scott Feldman‘s recent dominance: a pact with the devil, alien body-snatching, or performance-enhancing drugs. Through July 4, the Texas Ranger had a 2-6 record and a 6.11 ERA, while opposing batters were hitting him at a .285 clip. But the 29-year-old Hawaii native has strangled his past 3 opponents, giving up just one earned run in 17 innings (an ERA of 0.53) while striking out 10 and walking zero. The performance has boosted his record to 5-6 and slimmed his ERA to 4.76. Sam Fuld is back. After spending the first three months of the season on the disabled list, the scrappy Tampa Bay Rays outfielder returned to the field with a vengeance last week (7/24/2012). In five games since returning, Fuld went 6-for-16 (.375) with 2 doubles and 2 RBIs, and the slumping Rays won three of five. Los Angeles Dodgers prospect Joc Pederson is surging. A 20-year-old outfielder with the Rancho Cucamonga Quakes (A-advanced), Pederson has hit .333 in his past 10 games, including 3 HRs, 11 RBIs, 3 stolen bases, and a .429 on-base percentage. The Palo Alto, Calif. native was an 11th-round pick out of high school in the 2010 draft. At the beginning of this season, MLB.com ranked him the Dodgers’ No. 4 prospect. Baltimore Orioles prospect Robbie Widlansky is among Eastern League leaders in several offensive categories. A 27-year-old outfielder/DH with the Bowie Baysox (AA), Widlansky is hitting.301 with 6 HRs, 62 RBIs (3rd highest), 9 stolen bases, and an on-base percentage of .396 (4th). One of Israel’s few home-grown baseball stars is a 6’4″, 33-year-old pitcher whose day job is booking musicians for the City Winery in New York City. The Wall Street Journal has a terrific profile on Shlomo Lipetz and the challenges he faced learning baseball in Tel Aviv after relatives first exposed him to the sport in a 1986 visit to Shea Stadium. Ike Davis had a 3-HR game for the first time in his career on Saturday (7/28/2012). The Arizona native homered in his first three at-bats (see video) and added a single to go 4-for-4 in a 6-3 loss to the Arizona Diamondbacks in Phoenix. After an anemic start this season, Davis is tied for 6th place in the National League with 20 HRs, is third among N.L. first basemen with 60 RBIs, and has raised his batting average to .213. He has six HRs in his past 10 games. According to our friends at Jewish Sports Review, a total of 13 Jewish players were selected in the 2012 amateur draft. We’ll publish the full list, along with short bios, very soon. Adam Greenberg is vying for a spot on on Team Israel, which will be competing in a qualifying round for the World Baseball Classic in September. The 31-year-old former Chicago Cub is best known, unfortunately, for getting hit in the head by pitcher Valerio de los Santos during his first and only Major League at-bat, in 2005. Greenberg’s career was derailed by the resulting concussion and vertigo. But the 5’9″ fireplug has grit. He singled off de los Santos when he next faced him, in a 2011 independent-league game, and you can see both at-bats in this video profile by ESPN. Good luck, Adam! Nearly 3 months after being demoted to AAA, Danny Valencia has returned to the Minnesota Twins. The 27-year-old third baseman immediately chipped in with an RBI double and two runs scored in a 12-5 win over the Cleveland Indians on Saturday (7/28/2012). His stay is likely to be short, as regular 3B Trevor Plouffe is suffering only from a bruised right thumb. Congratulations to U.S. women’s gymnastics captain Aly Raisman, a tribe member who advanced to the Olympics’ all-around finals with a terrific floor exercise she performed to the tune of Hava Nagila on Sunday night (7/29/2012). Does Kevin Youkilis have a flair for the dramatic, or what? The newly-minted Chicago White Sox third baseman homered in his first at-bat at U.S. Cellular Field (see video) and finished the day 3-for-6 with 4 RBIs. He’s 9-for-23 (.391) during the current homestand, with 3 HRs and 10 RBIs. Los Angeles Dodgers prospect Joc Pederson must have eaten his Wheaties on July 1. The 20-year-old outfielder with the Rancho Cucamonga Quakes (A-advanced) homered three times in a 17-4 rout of the High Desert Mavericks to tie a franchise record. Quite a feat, especially since he’d managed just 3 HRs in his first 52 games. Los Angeles Dodgers prospect Jake Lemmerman tweeted this photo of himself and hero Tommy Lasorda last week. Sorry to hear that Los Angeles Dodgers CF Matt Kemp injured his hamstring, but the upside is that Milwaukee Brewers LF Ryan Braun will be an N.L. starter in this week’s All-Star Game rather than a reserve player. Jewish Baseball News contributor Zev Ben Avigdor snapped this photo (below) at a Binghamton Mets (AA) home game against the Altoona Curve on July 3. Guess who threw out the first ball that night? Cleveland Cavaliers F Omri Casspri, the first Israeli to play in the NBA. 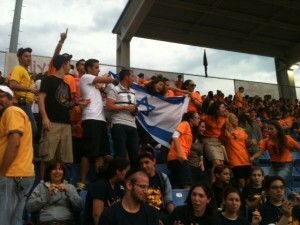 Fans unfurl an Israel flag at a Binghamton Mets game. What’s it’s like to be a newly-drafted rookie about to begin your first minor-league assignment? 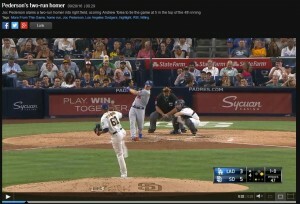 Maxx Tissenbaum, an 11th-round draft pick of the San Diego Padres, tells you all about it in his blog The Padres Life. Boston Red Sox prospect Ryan Lavarnway will be the starting catcher for the International League (AAA) in its annual All-Star game against the Pacific Coast League (AAA). The bad news is that Sam Fuld went 0-for-3 in an appearance July 7 with the Charlotte Stone Crabs (A-advanced). The good news is that it marked the first game he’s played since undergoing wrist surgery. The Tampa Bay Rays outfielder is expected to complete a 20-game rehab stint before returning to St. Petersburg. The Oakland A’s have promoted reliever Jeff Urlaub to the Stockton Ports (A-advanced). Can you blame them? In 25 appearances with the Burlington Bees (A) this season, the 25-year-old stringbean — he’s 6’2″, 160 lbs. — assembled a 5-4 record with 3 saves, a 2.60 ERA, 27 strikeouts and only one walk. And Urlaub continues to impress. Four games into his new gig with Stockton, he’s given up one hit, no walks, and no runs while holding opposing hitters to a .059 batting average. Friday night (July 6) was a memorable one for Los Angeles Angels prospect Zach Borenstein, who went 4-for-5 with two doubles, two HRs, and 6 RBIs. His second HR of the night, struck in the bottom of the 9th inning, propelled the Cedar Rapids Kernels (A) to a 12-11, walk-off win over the Wisconsin Timber Rattlers. Add this name to our ever-growing list of players: Los Angeles Dodgers prospect Joc Pederson. Drafted out of high school in 2010, the 20-year-old outfielder wowed the rookie Pioneer League last year by batting .353 with 11 HRs, 64 RBIs, 24 stolen bases, and a .997 OPS (on-base percentage plus slugging) in only 266 at-bats. Now with the Rancho Cucamonga Quakes (High-A), Pederson is hitting .253 with 1 RBI in 31 at-bats this season. A tip of the cap to Ephraim Moxson for verifying Pederson’s lineage. Aric Weinberg, whose mother hails from Tel Aviv and whose father is a former ESPN and New York Times sports reporter, signed a contract with the Kansas City T-Bones of the American Association, an independent league. The 26-year-old outfielder is assistant coach of the Tarbut V’Torah baseball team in Irvine, Calif., which went 11-2 last season. Leadoff hitter extraordinaire Ian Kinsler has scored 28 runs in the Texas Rangers’ first 28 games this season, putting him on pace for 162 if he remains injury-free. The only player since 1939 to reach that plateau is Manny Ramirez, who scored 165 with the Cleveland Indians in 1999. San Diego Padres prospect Nate Freiman continues to dominate Double-A pitching in his first season at that level. The San Antonio Missions first baseman is hitting .313 (5th-highest in the Texas League) with 11 HRs (1st), 26 RBIs (2nd), and a 1.032 OPS (3rd/tie) in 115 at-bats. Baseball America’s most recent Prospect Hot Sheet listed two Jewish players among last week’s hottest 13: Washington Nationals prospect Danny Rosenbaum (see above), and Los Angeles Dodgers prospect Jake Lemmerman, a 23-year-old shortstop who is hitting .316 with the Chattanooga Lookouts (AA). The same Hot Sheet described 6’7″ Padres prospect Nate Freiman (see above) as “monstrous” and a “man among boys.” Both Lemmerman and Freiman are Duke University alums. Have any good news about Jewish athletes and teams? 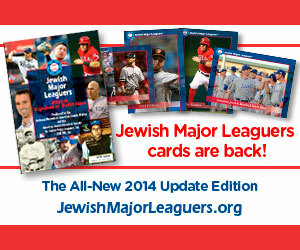 E-mail them to sbarancik@jewishbaseballnews.com.